Who is Huma Abedin – Hillary’s Hatchet Girl – Coercion Code – "Dark Times are upon us"
Huma Abedin has largely remained in the background during her decades-long work for Hillary Clinton as her right-hand woman at the White House, Senate, State Department and private life. But Abedin is in the spotlight in the final days of Clinton’s campaign. Newly discovered emails that FBI Director James Comey told lawmakers Friday could be pertinent to the now-closed investigation into Clinton’s private email server were sent or received by Abedin, according to a law enforcement official. The new emails are part of an investigation into former congressman Anthony Weiner, according to top law enforcement sources. Abedin announced her separation from Weiner this summer. Huma Abedin accounced she was separating from husband Anthony Weiner. Abedin, 41, is one of Clinton’s longest-serving aides. She was Clinton’s deputy chief of staff at the State Department and is currently the vice chairwoman of Clinton’s presidential campaign. Freedom of Information Act requests from a conservative organization have made many of Clinton’s staff’s emails sent during her State Department tenure public, and Abedin was involved in many of the exchanges that have drawn scrutiny. In one exchange when Clinton was secretary of state, then-Clinton Foundation executive Doug Band asked Abedin to facilitate a meeting between Clinton and the crown prince of Bahrain. In another, Band and Abedin emailed about job opportunities at the State Department for a person whose name was redacted. 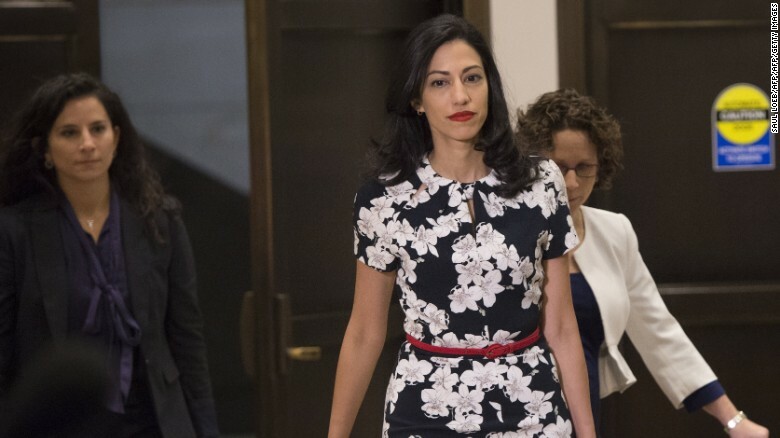 Huma Abedin, longtime aide to former U.S. Secretary of State and Democratic presidential candidate Hillary Clinton, arrives to speak to the House Select Committee on Benghazi on Capitol Hill in Washington on Friday, October 16. U.S. President Barack Obama acknowledges Abedin at an Iftar dinner celebrating Ramadan in the State Dining Room of the White House August 10, 2012 in Washington. Abedin has been in Clinton’s orbit since 1996, when she got a White House internship as a student at George Washington University. She has said she was hoping for a job in the press office, aspiring to be a journalist like her role model, Christiane Amanpour — but she was assigned to work with the then-first lady’s chief of staff. “The rest, as they say, is history,” Abedin said of the experience in an April “Call Your Girlfriend” podcast. Born in Michigan, Abedin spent the majority of her childhood in Saudi Arabia, returning to the US for college. Her parents were scholars — her father from India and her mother from Pakistan. Sign up for CNN Politics’ Nightcap newsletter, serving up today’s best and tomorrow’s essentials in politics. Abedin has worked closely with Clinton in practically all of her endeavors since the White House. She worked for Clinton in the Senate and worked for her Senate campaign. She was the traveling chief of staff, known as the body woman, for Clinton’s unsuccessful 2008 presidential campaign. But her time at the State Department has not only drawn controversy because of the emails later made public. Abedin was also given special status as a contractor with State after she left her formal role with Clinton to consult as well for a company called Teneo, formed by a Clinton insider. She also worked with the Clinton Foundation. 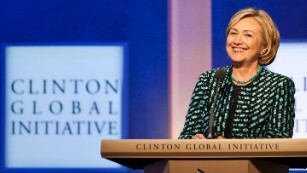 What is the Clinton Foundation and why is it controversial? Just before she left her official State post, a mysterious LLC was formed with ties to her. Iowa Sen. Chuck Grassley, a Republican, has long demanded answers about Abedin’s work with the State Department, criticizing her designation as a Special Government Employee. Abedin has answered Grassley’s inquiries with a defense of her varied work as separate. Abedin hasn’t only made the news for her work with Clinton. Abedin married Weiner, the former New York Democratic congressman, in 2010. Former President Bill Clinton officiated their wedding. 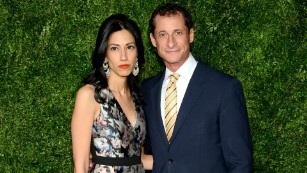 At the time, the power couple was notable for Weiner’s rising career and their Muslim-Jewish relationship. But in 2011, Weiner admitted to sending sexually explicit messages and pictures to women online, a scandal that effectively ended his political career. One picture accidentally appeared on his Twitter account. Abedin stayed with him through that scandal, and the couple had a son, Jordan Zain Weiner, later that year. During a failed run for New York City mayor in 2013, more explicit messages he sent came to light, originating from the time after his original scandal. That time, Abedin again stood by his side and gave remarks at a press conference. But in August, when another sexting scandal came to light, Abedin had enough and announced she would be separating from her husband. Sources close to Abedin told CNN that the couple had been estranged for some time, but said she was “furious and sickened” after The New York Post published a sexually suggestive photo of Weiner next to their 4-year-old son. Clinton’s critics have seized on Abedin’s Muslim and international background, with the New York Post making allegations this week about her association with an academic journal founded by her late father and run by her mother that examines issues related to Muslims living in Western societies. Abedin was listed on the publication’s masthead for 10 years as an assistant editor, according to the Post. The Post called it a “radical Muslim journal,” but people familiar with it and the region describe the journal as scholarly, academic and nonpartisan, and said its content does not raise red flags. Clinton’s campaign said Abedin had very little involvement with the journal. “She wasn’t paid — did little to no work,” Clinton spokesman Nick Merrill said in an email to CNN. Editor’s note: This story was initially published in August. It has been updated. CORRECTION: A previous version of this story misstated Abedin’s age. CNN’s Sunlen Serfaty, Jeff Zeleny and Tom LoBianco contributed to this report. Next Next post: Hillary Off The Hook Again? !